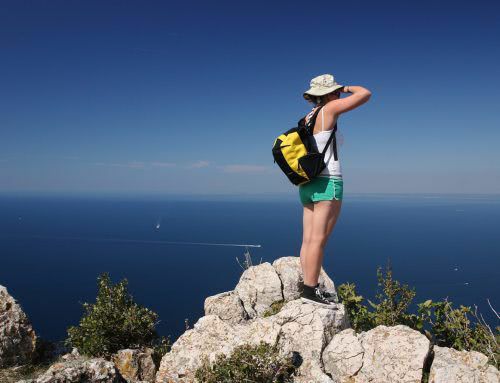 Included: kayaking with guide and equipment, camping equipment, entrance to Velebit Nature Park, 5 meals (2 breakfasts, 1 lunch, 2 dinners), pick up in Zagreb, drop off in Zagreb or Zadar, insurance. This is a more than just a 3 day kayaking trip with camping. 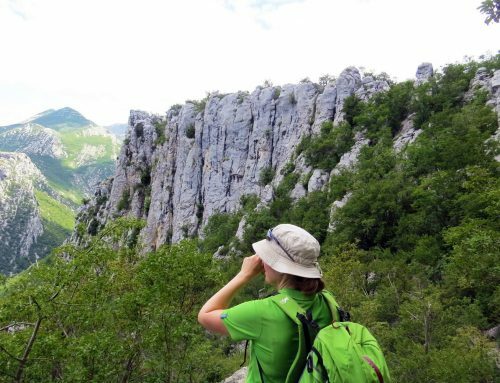 It is an adventure where you will get to be active in the nature, kayak on two most beautiful rivers in Croatia, visit Plitvice Lakes or Paklenica National Park, camp by the river (probably under the sky full of stars), breathe some fresh air, eat fresh local food and see how the local people live. 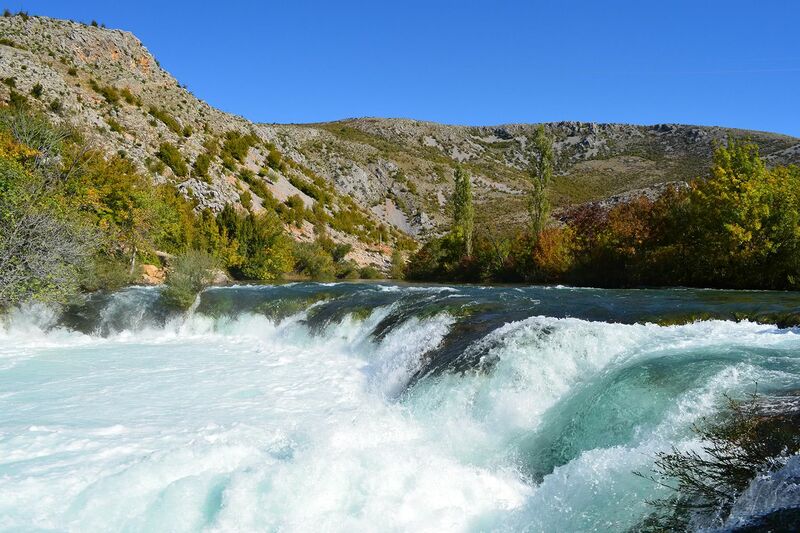 The rivers Mreznica and Zrmanja are real beauties of the Croatian karst with crystal clear water and many waterfalls. 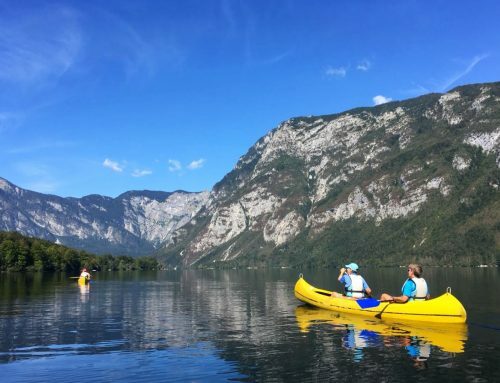 Apart from being amazing kayaking destinations adapted even for complete beginners, they are a great nature stop on the way from Zagreb to the coast. 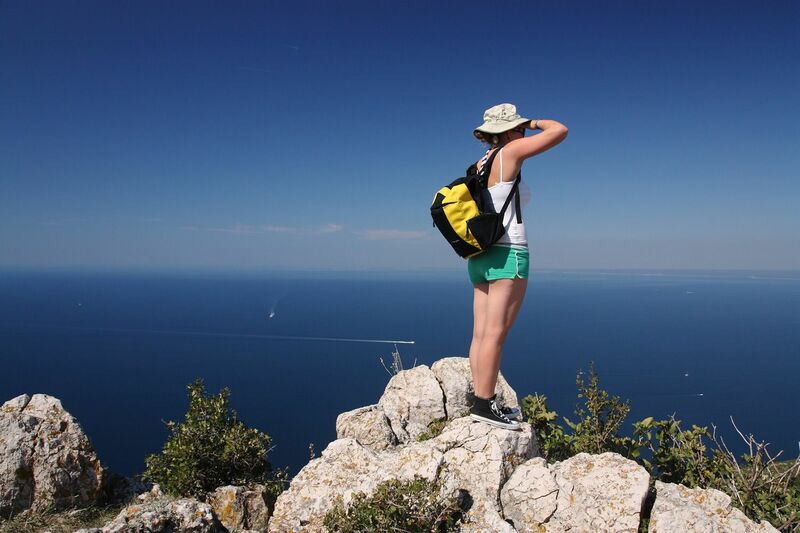 That’s why we provide a transfer to Zadar city (or surroundings) after the trip. 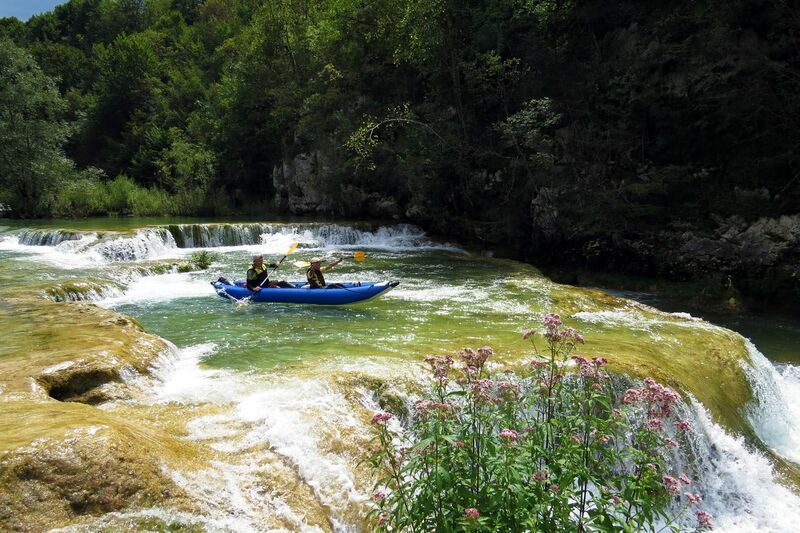 Note: the days of this kayaking & camping Croatia adventure can be switched on request, starting with pick up in Zadar and ending with drop off in Zagreb, first Zrmanja and then Mreznica. 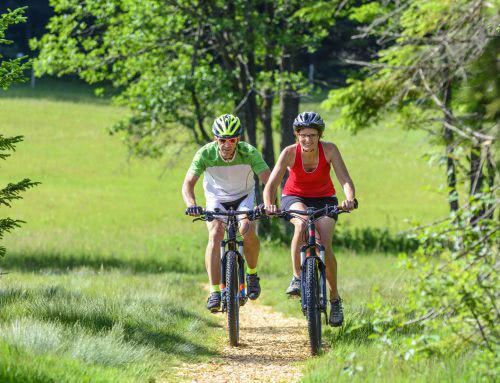 Day 1: We will pick you up in your accommodation in Zagreb and start our kayaking & camping Croatia adventure with the upper section of the Mreznica River in Primislje. 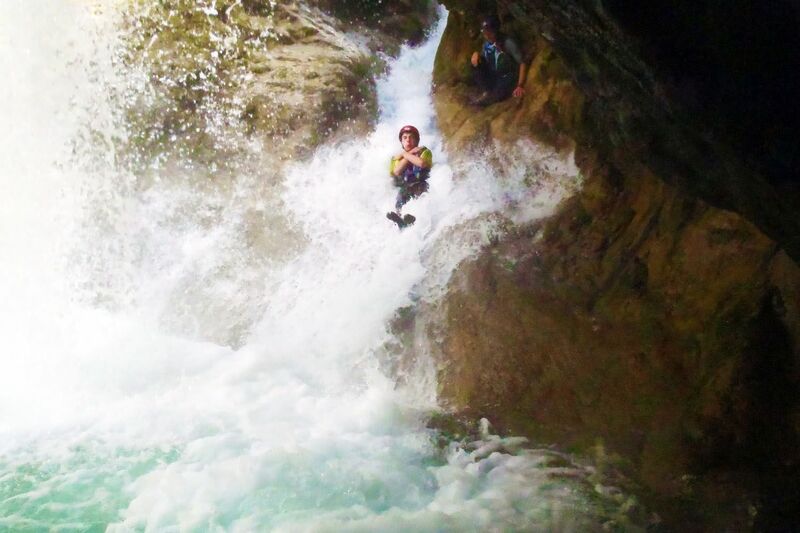 We travel through a narrow and deep gorge with spectacular cascades up to 8 meters high. You can have fun cliff jumping, taking crazy photos, climbing waterfalls and swimming under them. It will take us 3 hours, break included, to complete our descent. After the trip we will settle in the camp by the Mreznica River and enjoy a delicious meal by the fire. 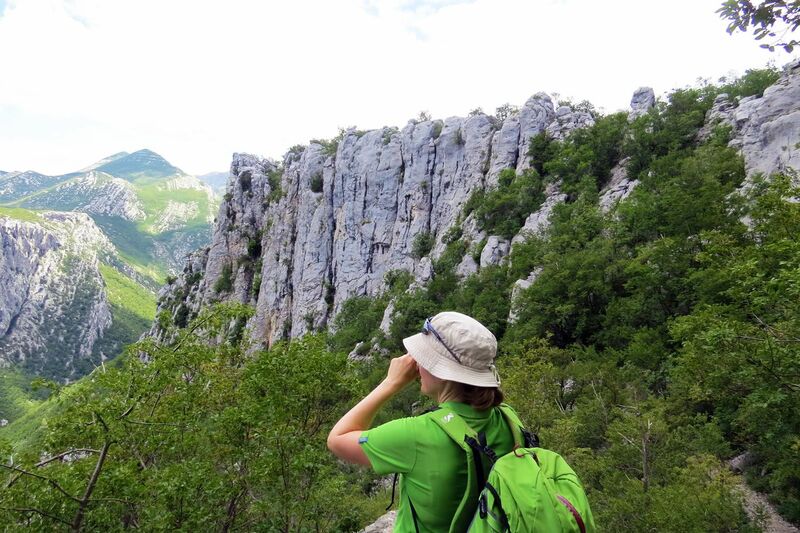 Day 2: Today you can choose to visit Plitvice Lakes or Paklenica National Park. 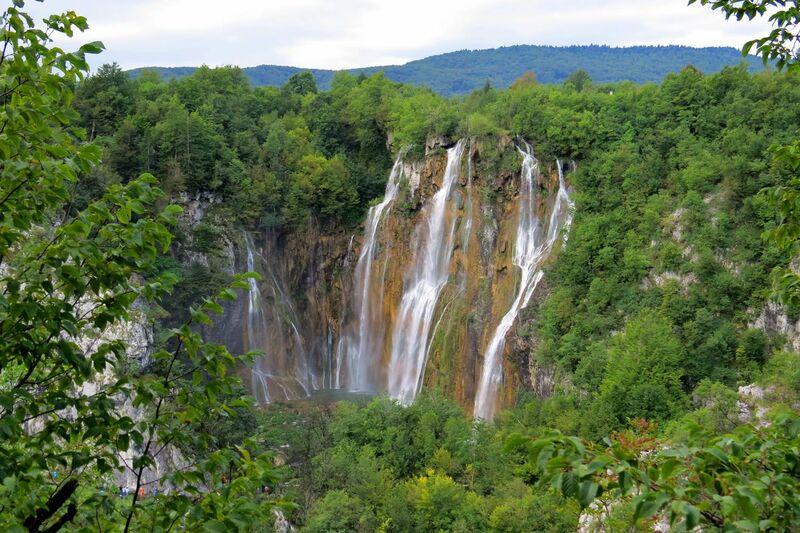 If it’s Plitvice you choose you will enjoy the sequence of 16 turquoise lakes linked together with beautiful waterfalls and travertine pools which are really as beautiful as in the photos, even more. 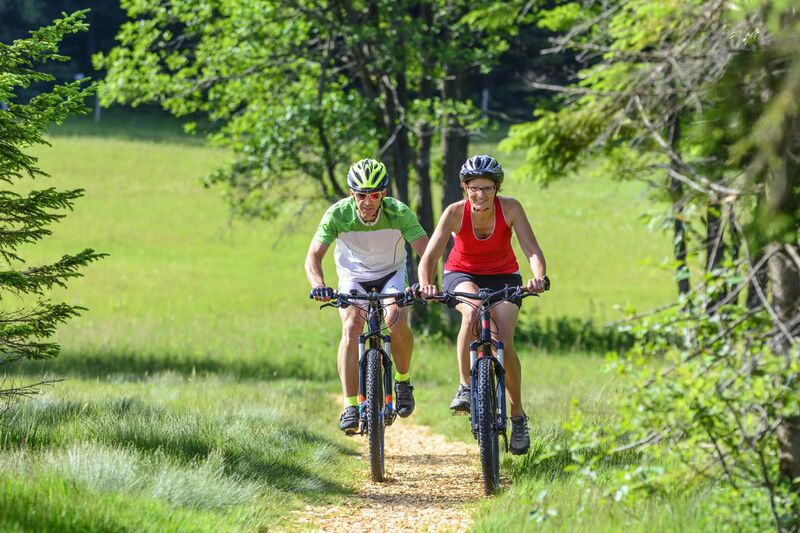 The lakes are surrounded by beech and pine forests and are home to extensive wildlife. 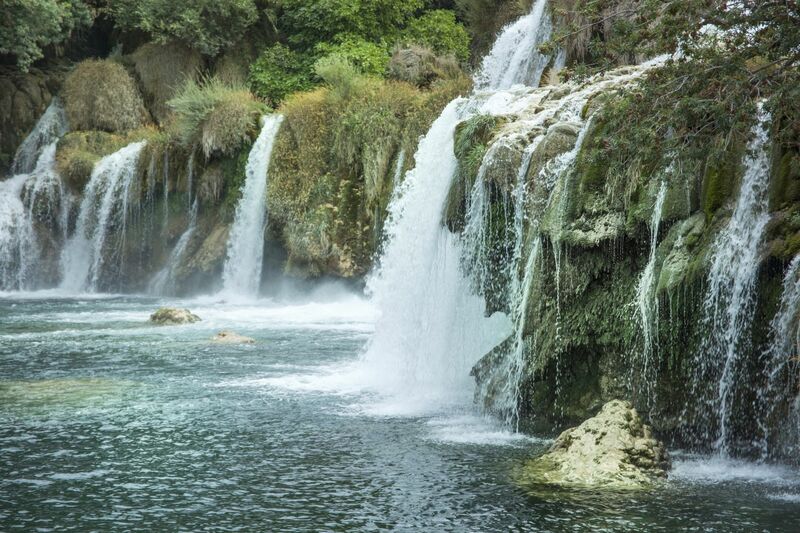 We will walk by the lakes, past the waterfalls and the trails will occasionally lead us up to amazing viewpoints where you will be able to admire the complete picture of this amazing natural attraction. 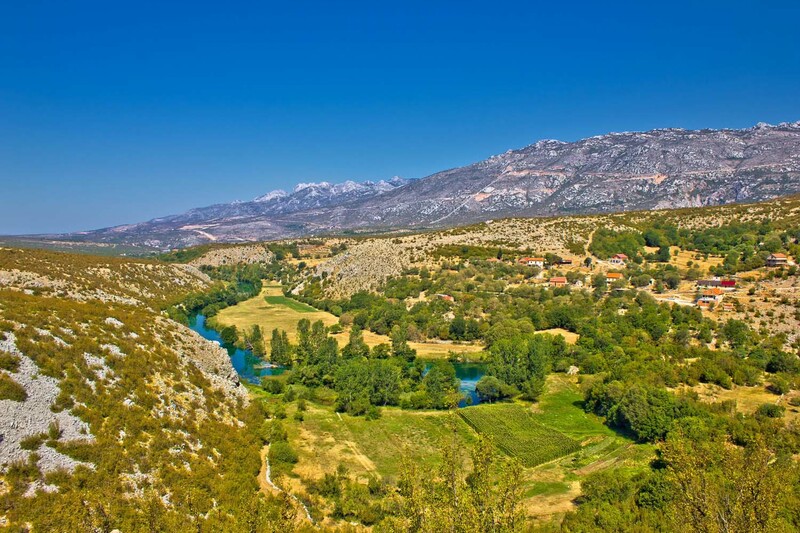 After the hike we will drive to the campsite by the river Zrmanja where we will put up our tents and enjoy a meal on a nearby family farm. 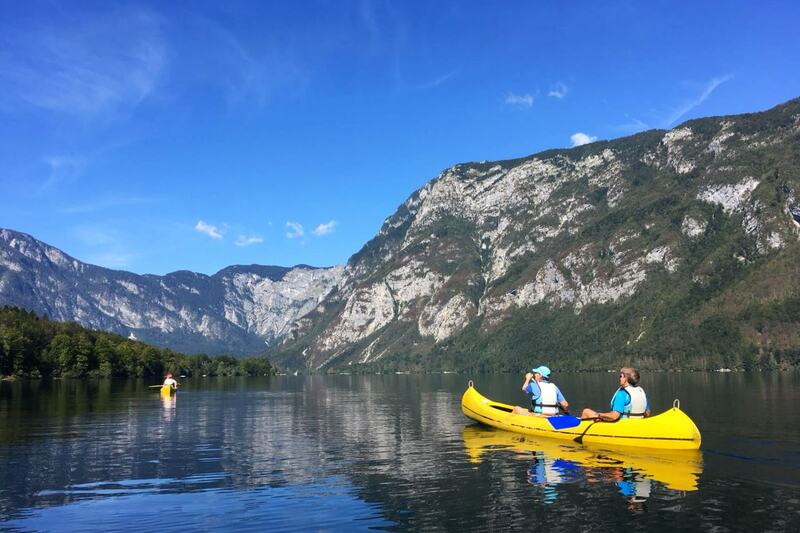 Day 3: We start our morning with a drive to the kayaking startpoint in Kastel Zegarski and head down the beautiful Zrmanja River. 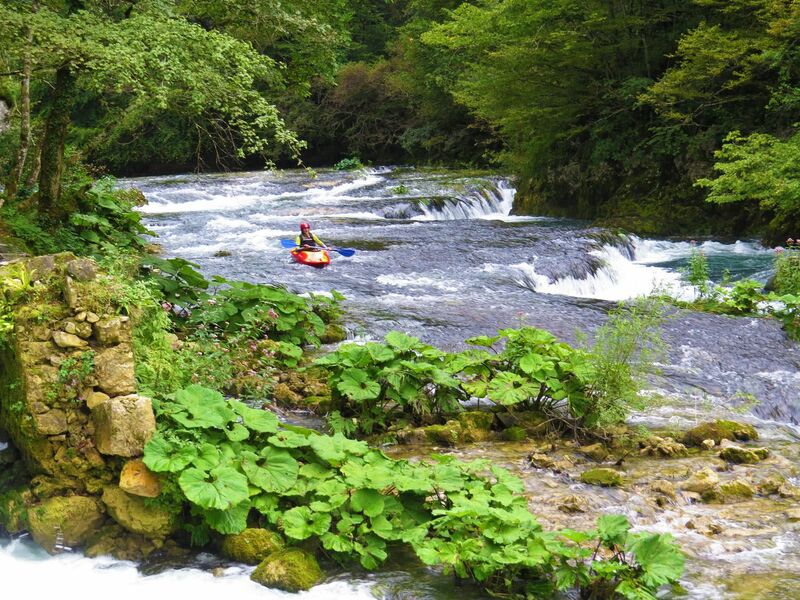 The first part of the river is calmer and less demanding, whilst the second part after the amazing 10 m fall (that we will not kayak down but walk around) is fun with lots of rapids and action. It will take us some 4-5 hours and we will finish our adventure by the bridge in Muskovci where you can have a drink and something to eat in a local fast food by the river. Depending on your next destination we can drive you to Zadar or back to Zagreb. 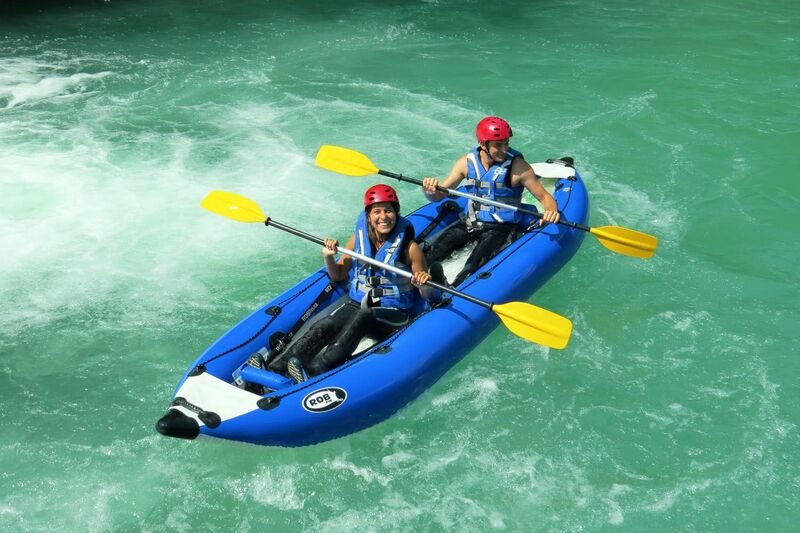 Each guest will be provided with basic kayaking equipment and safety gear: kayak (we usually use 2-person sit-on-top inflatable kayaks), paddle, neoprene suit, vest and helmet. You will also be provided with a dry bag where you can store food, water and personal belongings during the kayaking. 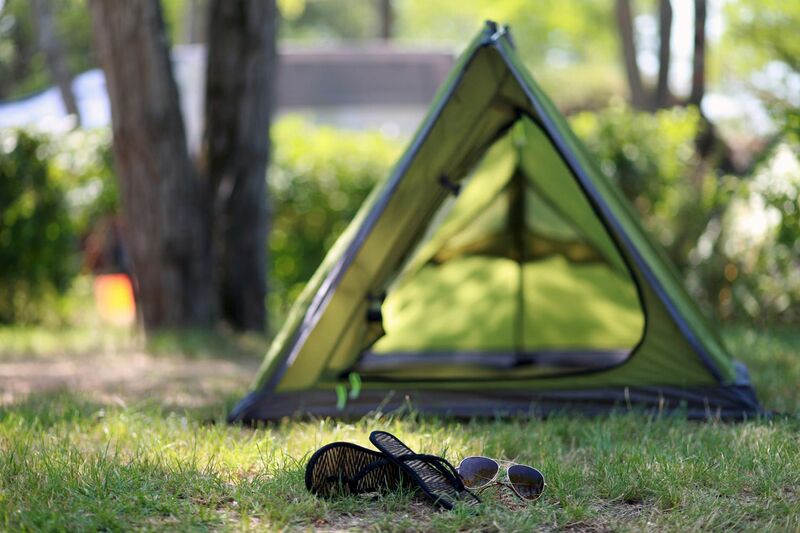 Things to bring with you: sleeping bag (we can provide one for 5 € per day), water shoes or sneakers, long sleeved shirt/s for kayaking, bathing suit, sunscreen, towel. Plan for a budget for snacks and 1 picnic lunch (we will stop in a local shop where you can buy groceries).